Sarah Nader- snader@shawmedia.com Dundee-Crown's Christian Brunner (left) holds down Crystal Lake Central's Mike Zelasco during the 182-pound match during Saturday's Fox Valley Conference Wrestling Tournament in McHenry February 1, 2014. 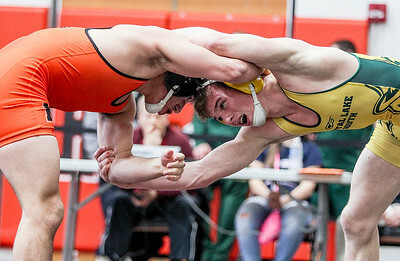 Sarah Nader- snader@shawmedia.com McHenry's Carter Herber (left) and Crystal Lake South's Eric Barone grab on to each other during the 145-pound match during Saturday's Fox Valley Conference Wrestling Tournament in McHenry February 1, 2014. Sarah Nader- snader@shawmedia.com Crystal Lake South's Nick Gil (left) grabs onto Huntley's Brandon Meyer during the 138-pound match during Saturday's Fox Valley Conference Wrestling Tournament in McHenry February 1, 2014. 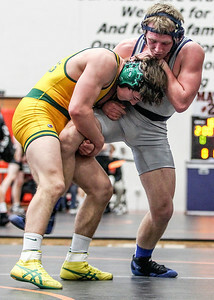 Sarah Nader- snader@shawmedia.com Crystal Lake South Casey Callahan (left) grabs onto Cary-Grove's Matt Hughs during the 152-pound match during Saturday's Fox Valley Conference Wrestling Tournament in McHenry February 1, 2014. 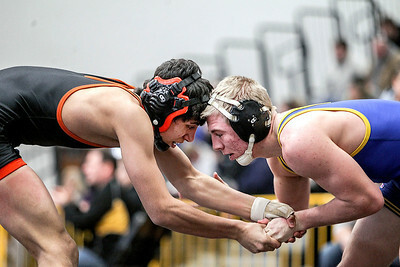 Sarah Nader- snader@shawmedia.com Crystal Lake Central's Mike Peterson (left) grabs onto Johnsburg's Branden Peshek during the 132-pound match during Saturday's Fox Valley Conference Wrestling Tournament in McHenry February 1, 2014. 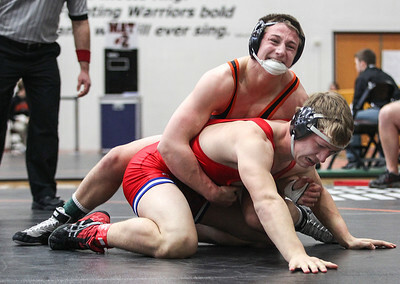 Sarah Nader- snader@shawmedia.com Crystal Lake Central's Kyle Fugiel (top) hold onto Dundee-Crown's Jarrod Raap during the 170-pound match during Saturday's Fox Valley Conference Wrestling Tournament in McHenry February 1, 2014. Sarah Nader- snader@shawmedia.com Cary-Grove's Michael Cullen (left) grabs onto Crystal Lake Central's Lenny Peterson during the 120-pound match during Saturday's Fox Valley Conference Wrestling Tournament in McHenry February 1, 2014. 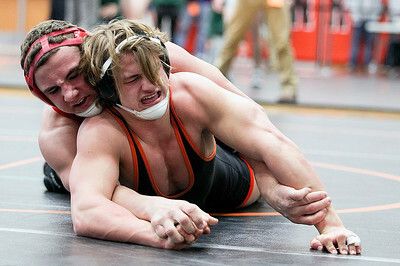 Dundee-Crown's Christian Brunner (left) holds down Crystal Lake Central's Mike Zelasco during the 182-pound match during Saturday's Fox Valley Conference Wrestling Tournament in McHenry February 1, 2014.